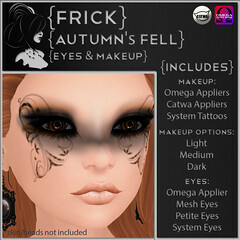 Here’s all the Halloween goodness for 2016! 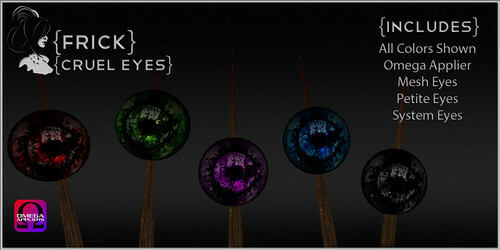 Next up is a new release! 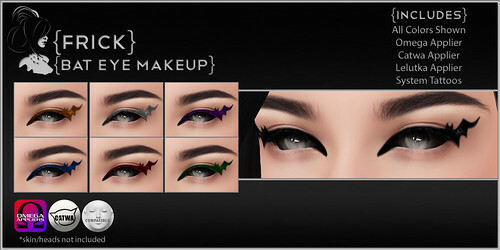 Bat Eye glitter eyeliners. 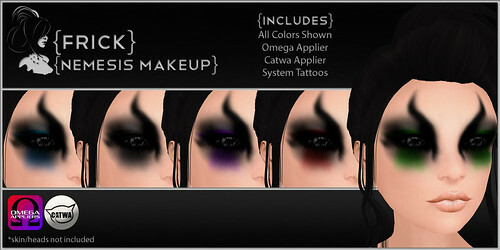 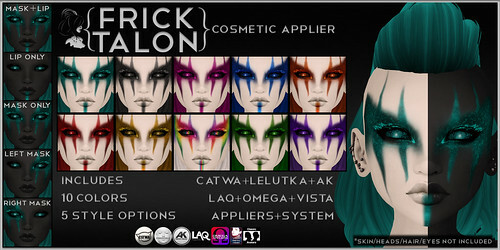 The pack contains all the colors on system tattoos and Omega, Catwa & Lelutka appliers!